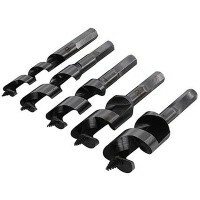 Silverline 633685 Stubby Auger Drill Bit Set Features 5 piece set. 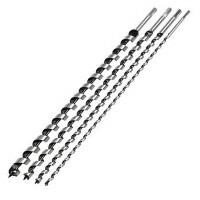 100mm / 4in long..
Silverline 298528 Wood Auger Drill Bit Set Features 5 piece set. Hardened high carb.. Size 6mm x 235mm. 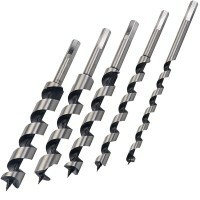 Precision ground, hardened high carbon steel hex shank auger bits. .. Size 30mm x 235mm. 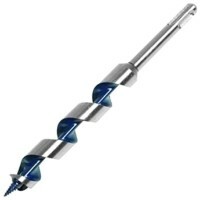 Precision ground, hardened high carbon steel hex shank auger bit. .. Size 22mm x 235mm. Hardened high carbon steel SDS plus shank auger bit. Precision.. Size 32mm x 235mm. Precision ground, hardened high carbon steel hex shank auger bit. ..
5 piece set. Sizes 10mm, 13mm, 19mm, 22mm and 25mm. Hardened high carbon steel SD.. Size 8mm x 235mm. 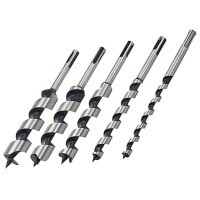 Hardened high carbon steel SDS plus shank auger bit. Precision .. Size 19mm x 235mm. 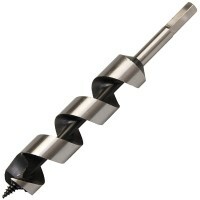 Precision ground, hardened high carbon steel hex shank auger bit. 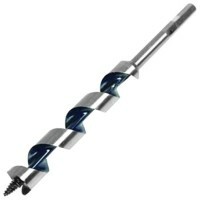 ..
Silverline 868516 Long Auger Drill Bit Set Features Super length pattern auger bit set 60.. Size 25mm x 235mm. Precision ground, hardened high carbon steel hex shank auger bit. .. Size 18mm x 235mm. Precision ground, hardened high carbon steel hex shank auger bit. .. Size 13mm x 235mm. Hardened high carbon steel SDS plus shank auger bit. Precision.. Size 10mm x 235mm. Hardened high carbon steel SDS plus shank auger bit. Precision.. Size 14mm x 235mm. Precision ground, hardened high carbon steel hex shank auger bit. ..